Pavel Cincera is building the foundations for environmental awareness and activism in former Soviet countries through independent journalism. By using a nonaligned and recognized issue, such as environmental protection, Pavel has introduced the first independent and objective online portal in the region to raise awareness and activate citizens around the issue of the environment. News coverage influenced by political and other interest groups, and, as a result, public distrust to provided information and its objectivity, neutrality and reliability. No space for the audience to publicly discuss information provided by print and TV media. Shallowness of mainstream internet resources focused mainly on entertainment. These are distinctive features of many post-communist countries and the ongoing democratization process. The monthly audience of Ekolist.cz is 70,000 people and the annual audience is 750.000 people. The content is created and offered for public discussion by internal professional journalists specializing on environmental issues. Pavel regularly shares his expertise with similar projects abroad through trainings. In total, 8 citizen advisory centers provide pro bono consulting in the field of household optimization to Czech families with low income. Yearly, 1,000 people benefit from this service in person and nearly 15, 000 get consultations online. Around 600 people (200 organizations) have graduated from Ekolist media training. 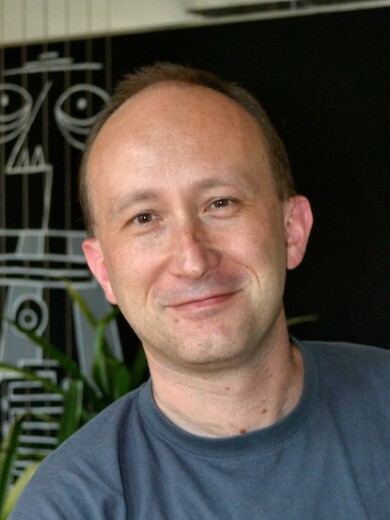 In 1997 Pavel co-founded the first Czech internet portal Ekolist.cz, bringing important environmental topics to the attention of the general public. Ekolist’s core principles are strict impartiality, accuracy and relevance of provided information. The discussion forum and co-creation format motivate readers to abandon the role of mere observers and bring in their perspectives. A „green household“ Ekolist consultancy provides practical and impartial advice on household optimization, both online and offline, through the network of advisory centers. Ekolist actively shares its vast experience in writing on environmental agenda and raising the profile of the topic with environmental activists and partner organizations worldwide. The general public perceives environmental activism as a significant and relevant topic and is ready to engage and take action. A comprehensive internet platform providing objective information and space for serious discussion between the public and experts serves as a tool to activate civil society and contribute to the search for optimal solutions and consensus. Pavel’s main motivation is to provide people with an opportunity to access media which are not affiliated with any campaigns, are not willing to convince but instead aim at objectivity and plurality of opinions. Ekolist.cz is thus a consistently non-activist and impartial organization, not lobbying for particular solutions apart from the principles of democracy and access to information.